Hey there! welcome to q.s. productions. Have a brand, but need help growing it? Need Content? 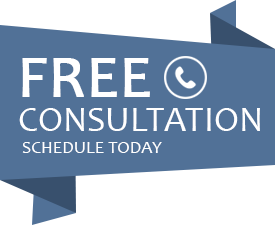 Sign up for a free 30 minute consultation with us for proven ways to creating and growing your brand. Your #1 source for incredible Houston video production and photography. Houston video production companies provide the memories you’ve always dreamed. Memories are what make the human life worth living. They are what we make and keep throughout life and they are the things that we look back upon. This is very important when working with video production companies. Above all, every experience that a person goes through lives on in their memory. This means that arguably, every joyous occasion is forever stored in our memory, however, our memories like anything is prone to fading as they age. This is where the invention of photography comes in. We created it so as to better preserve our memories and to capture moments in life that have to be treasured. Photography is a great tool when it comes to capturing momentous occasions; this is especially true if the occasion just so happens to be a wedding. Your wedding day is the happiest day of your life and hence it warrants documentation through photography. For this reason, almost all weddings have professional photographers covering the events. At the same time, the one thing that many weddings omit or just plain forget is video graphic coverage. In fact, you need a videographic coverage done as Videography is a good way of capturing those special moments in all their dynamic and vibrant beauty. Now, don’t get confused between photography and Videography. Strangely enough, videography is a sister branch of photography. It covers the events using videos or films which are shot and edited to best showcase the event while capturing the audio and visual aspects of the occasion that photographs fail to capture. On the other hand, videography is not limited to just weddings and other events. For instance, videography can be used to shoot anything you want from a local advertisement to any event or program that happens at your business. You can also use it to create a video documentary of a day at the office. In any case, this can be used to attract new investors by showcasing the workforce, the work itself and the dedication that your employees have toward doing said work. Furthermore, you can do all these and more by hiring a video production team. You can actually have any of the above-mentioned videos made or you can have something new and original made, that is of your own creation. In my opinion, all of it is possible with a Houston video production crew. However, not all crews can give you the best quality output that is where the Houston video production company comes in. First, video production companies in Houston,TX that you should look for should be professional video production companies with professional grade, and cutting edge technology at its disposal that can help you to create any kind of advertisement of video production you want. On the other hand, you may still be wondering why you would need a professional video production team. Be that as it may, I am going to help you out by answering that question. Next, let me explain why you should have a video graphic coverage of your business or enterprise. First and foremost, any and all business is based in some form of sales. As a matter of fact, marketing of said sales to the potential customer is also part of the business. As a result, this where you a business owner or a figure with a controlling interest in a business can have advertisements created. For this reason, you can use a video production company. You would need advertisements of a wide variety to attract customers and to endorse your products. Furthermore, a videography firm or a video production company can create or help in creating such an advertisement. The video production company can, of course, help you from the inception of the idea for the ad to its creation and execution. As a matter of fact, video production companies in most cases have professional quality gear and this means that by hiring them you get this gear at your disposal. As a result, this will ensure that the footage that you create would of high standards. In addition, there is also the added plus having the companies’ input when it comes to producing the video you want. Because the videography or Houston video production company is in touch with their industry, they will be privy to the current industry trends and norms. Hence, once you hire a video production company, you can rest assured that you will get an output video that is custom made, fresh and up to the current standards. This is especially true if it is one from the Houston video production companies. At this point, you should also remember that their use is not limited to advertisements or other marketing. In other words, services of the video production company can be used to cover other things like a company documentary or a corporate video of the workforce. Ultimately, it can be used to showcase the workforce to the higher ups in the country. It can also be used to show the production quality to the customer. You can also team up with the video production company to create an orientation video that can be shown to new employees. In other words, such a video will include the details description and introductions to the workplace. Furthermore, it can also include things like descriptions of work for different sectors of the workforce. As mentioned earlier you can use the videographer company to create a corporate video, showcasing the workforce. In fact, it would also detail things like the input and output gross, and the economic losses or gains that occur in the company. This, as mentioned is a good way to illustrate the inner workings of the company to new investors or to the authoritative body that holds a controlling interest. Another way to use video production is if you are a company in the food and beverage industry. Furthermore, a company with strict standards in production can use the video as proof. The video can be made in such a way that it shows that the production method and the employees follow the strict guidelines and that the products are completely safe and sanitary to use. Hence, the video that you make by collaborating with a Houston video production company can help your enterprise grow in multiple ways. Despite all these uses, such a video is often seen as an extra expenditure and not as a necessity for the growth of the establishment. In case you feel that way too, let us assure you that after the initial costs, you will only gain from making such a video. You will never regret your decision to have it made. Now that you know that you have to hire a video production company to cover your business, there are a few things you should know beforehand. So, here are a few tips that you should know as they will help you deal with a video production company. The video is for your business or company. You must remember this at all times. You should have at least a vague idea of what the video must show or do. This will ensure that you have at least a small idea or picture of what you want. In turn, having some idea of what the video must show will help when you first meet with the video production team. This will also help to filter out the ideas that will come up. Hence only the ideas which align with the main format or structure of the video will be implemented. This will in turn help to make sure that each and every frame in the video combines in a cohesive manner to convey and singular message. This is the most important part of any venture. Finding the perfect partner in life means the life the couple builds together will also be perfect. The same principle applies when you are trying to find a video production company to cover your business. The creation of your video is a team effort on both sides. This is because both you and the video production company need to work together in order to come up with a video that depicts your company in the best possible way. It is also important that the creative ideas of both parties match or at least work together to form a complete product. The next important step after you have to take after you have found your ideal partner is to share your idea. You may have an idea or a fully fledged vision for the video or you may have a small inkling, either way, you have to share it. There needs to be good communication between you and the video production company or companies that you have chosen to work with. This channel of communication must remain open throughout the creative process. This means that from the time when there is no plan to the time when the plan is fully executed you must have a healthy dialogue going on with your video production company. You must also make sure that the production company is clear on the things that you want the video to contain like animations and other graphical content. It is common that when working with professional video production teams, you get valuable insight from them. You get more value because they, as professionals, are more familiar with the industry and its standards and current trends. Also as the production company consists of creative individuals and works in a creative sector, they may have many inputs for your video and you should be open to those ideas. You should not reject them outright as the production is a team effort and the video company needs to have some say in the creation video. But you can determine the amount of say they have because at the end of the day you are the one who hired them and hence you are in charge. Don’t follow the well-beaten path when it comes to creating your video. Think outside the box; find a new way to say what you want to say. Innovate with the concept of your video. This will make sure that the audience notice your video and in turn, your business or establishment will also get noticed. People are and always have been attracted to the new and different, so strive to make your video or advertisement that. But be careful not to be too different and to have at least some minor factor of familiarity. This will ensure that the audience while attracted by the innovative nature of the video can still relate to it. The main objective of your corporate video or advertisement is to attract new customers, shareholders or to spread information and awareness. So, you should take care and make sure that the video attracts its audience and is not offensive to anyone. You should handle the video in such a way that people want to watch it and are not driven away by seeing it. But you should still say what you want to say and convey your message. Do not compromise on the content of the video. Always stay true to the goal you are trying to accomplish with your video. You must try and work within your budget. It is good to be ambitious, but you also need to make sure that your ambition is bankable and won’t result in unwanted expenses or losses. You must try to follow the allotted budget for the production strictly. But don’t worry if you feel congested or claustrophobic, as you will definitely be able to find a way to get your vision made without using much money. You must remember that innovation is born only when there is a need and an obstacle. Hence, you will find a creative and low-cost way to reach your goal. Now that you know all about dealing with a video production company, let us tell you that even though there many such companies, none truly compare to the Houston Video production company. This is because the Houston video production company has the best technology at their disposal. They will also make sure that you get what you want every single time. They will also ensure that the content is of the best possible quality. Est. 2013, Q.S. Productions is owned by Que Ewing and based out of Houston Texas. We focus on building businesses through the digital world and internet with our quality videography and photography services! Most importantly, our services include Houston video production and wedding photography as well as many others. Please view our gallery and contact us with any questions in the booking section below.